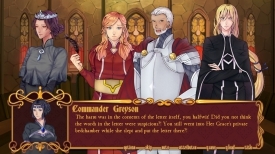 "A heavily interactive visual novel in a royal setting"
Queen’s Crown is an interactive visual novel opening with your brother’s funeral, who was next in line to the throne but now that responsibility has passed to you and the position is rather daunting as you will be ruling the country during this period of war. 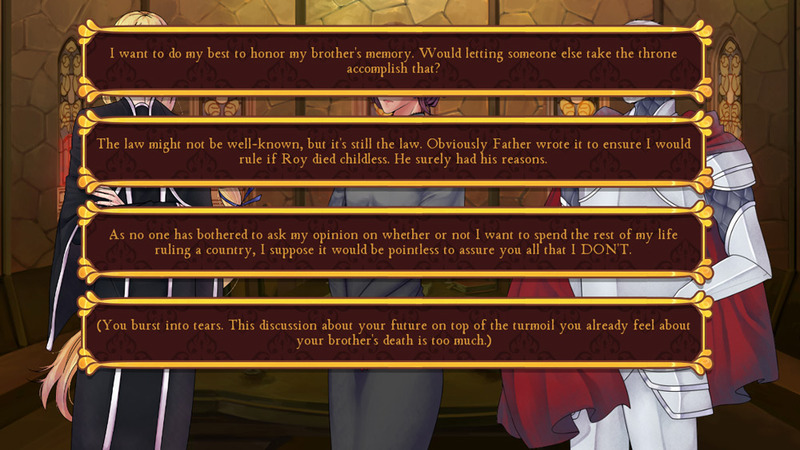 The game involves a lot more choice than the average visual novel and these choices will affect how the story plays out, there’s also a huge amount of text here and the pictures although mainly focused around the character pictures, the backgrounds can be a little stale and bland but the story is very well written using a style of language that fits the mood and time period perfectly Queen’s Crown is a very professionally made and enjoyable game. 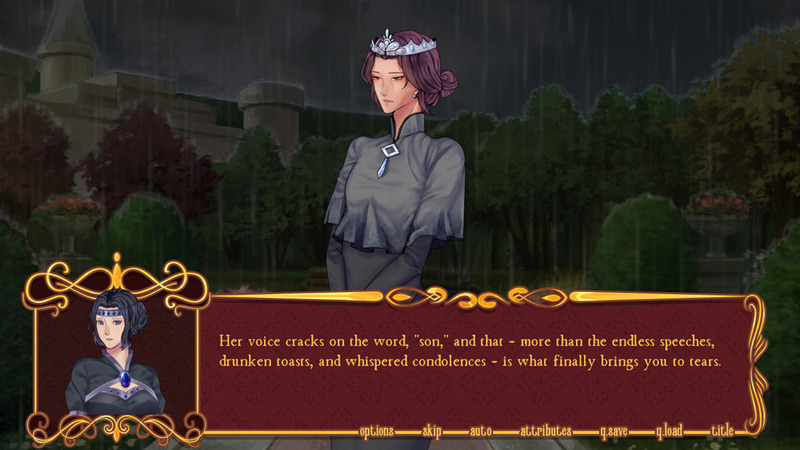 As far as free visual novels go this is certainly one of the most polished we’ve ever had the pleasure of playing especially if you’ve ever dreamed of being ruling monarchy! 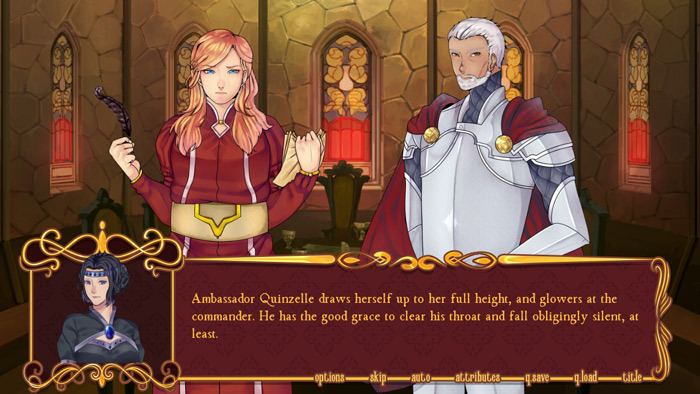 There’s also a lot of game to get through here and of course a romantic element to the game where you must choose to between your suitors at the same time as trying to successfully rule a war torn country. 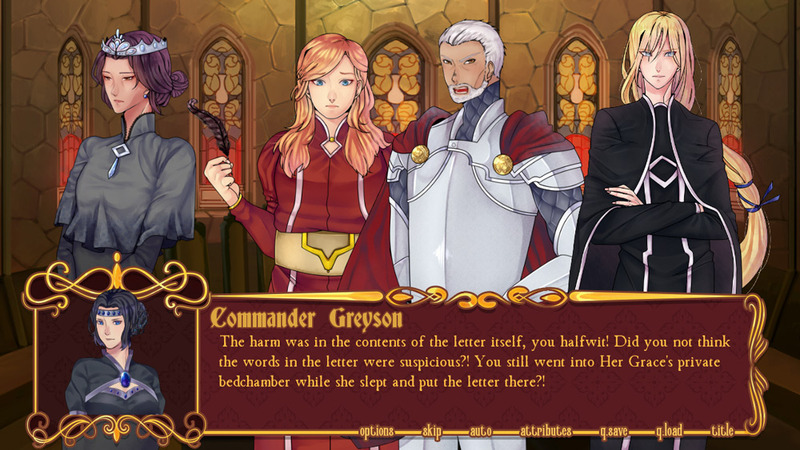 You can download Queen’s Crown here for free.